Note: This is a sponsored post in which I review a security system installed by Reliant. Here’s a little secret: I have never been a big believer in home security systems. However, this has been a non-negotiable point with my wife, who turns out is a believer in home security systems. We had one installed in our first home, more than 15 years ago. It was a fairly basic system, and it seemed to make my wife happy. I paid the monthly bill and then forgot about it. Fortunately, we never needed the system to work during an emergency. Over time, I forgot the access code. My assessment of security systems never changed. Uh-oh, it looks like we’re being invaded by Harry Potter characters. 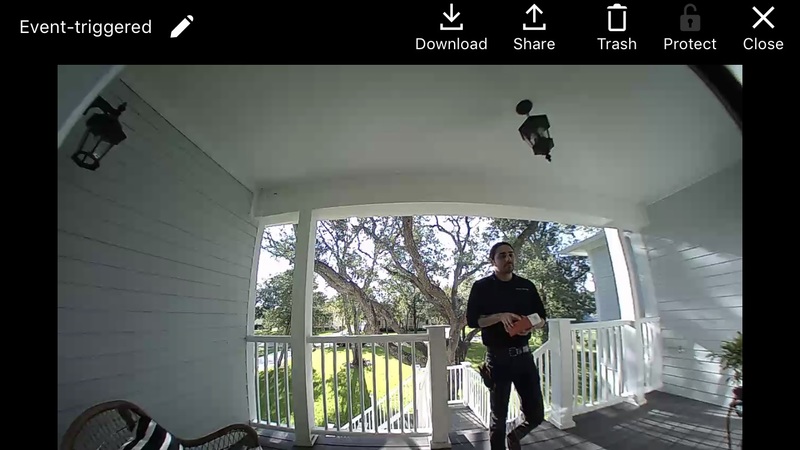 Nearly a year ago, we moved into a new home, and because of Space City Weather’s relationship with Reliant, they invited me to test out their security system. (I paid for the installation, and received a discount for services because I am an electricity customer). 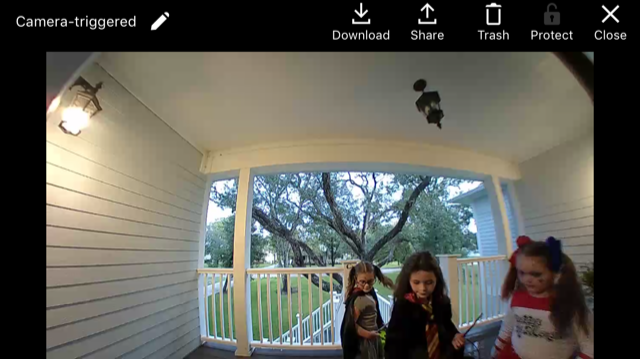 As part of our Security by Reliant package, we had sensors installed on six doors, an interior camera, a doorbell camera, a motion detector, and sensors on the garage doors that allow them to be opened remotely. This was a nice package but far from “the works” I could have had installed. All of these features were non-intrusive in the sense that they blend into the house. Reliant’s installer was friendly and helpful. Here we’re testing out the doorbell camera. 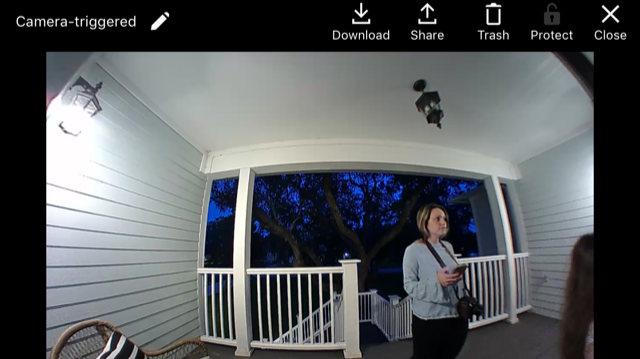 The Wi-Fi doorbell is especially nice, because it is easy to see who is there (whether we are home, or not) and to talk with him or her through the system. I really just want three things from a security system: that it is reliable, that it provides a sense of security, and my wife is happy. (Ok, being honest, the last thing matters most). And the reality is that, at least after year one, Security by Reliant hits all three for me. Reliant and I are teaming up to offer Space City Weather readers a special offer – if you sign up for Security by Reliant by clicking this link, or calling 1-844-443-0180 and mentioning promo code “SCW”, you’ll receive your first 2 months FREE! What’s the monthly cost for a similar system like you have. Don’t want to bother them if it’s out of my price range from the get go.